At least 23 people were killed and more than 130 wounded after car bombings rocked four Shiite mosques in the Iraqi capital of Baghdad and another mosque in Kirkuk. The wave of blasts erupted within an hour of each other in northern and southern Baghdad, as well as in the northern Iraqi city of Kirkuk, just as worshipers were leaving after Friday prayers. 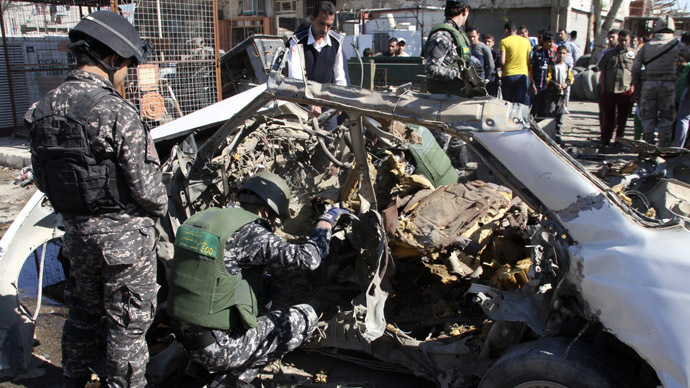 Police and health officials said that 20 people died in the Baghdad attacks. In Kirkuk, a car bomb detonated near the al-Rasul al-Aadham mosque, and killing three and wounding 70, a local health official told AFP. The bomber drove his explosive-laden car into a group of worshippers as they were departing from the mosque, Col. Najat Hassan said. "We were listening to the cleric's speech when we heard a very strong explosion. Glass scattered everywhere and the roof partially collapsed," Mohammed, a victim wounded in the Kirkuk blast, told Reuters. The wave of violence comes as Iraq prepares for its first election in three years, with voters in 12 of the country’s 18 provinces set to head to the polls on April 20. The legitimacy of the elections has been called into question, however, as widespread protests forced elections to be postponed in two provinces; AFP has reported that at least 11 candidates were killed in the violence. 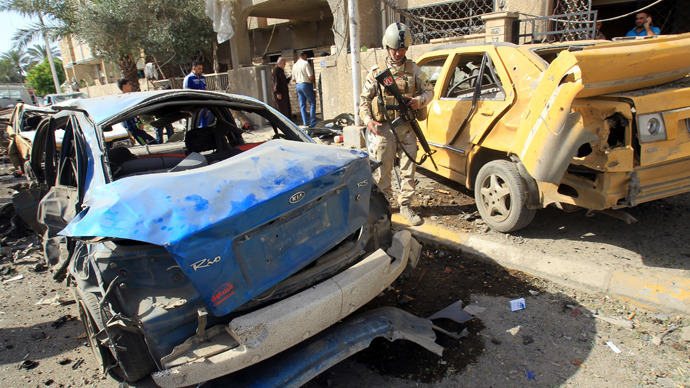 No one has claimed responsibility for the most recent attacks, though Sunni Islamists linked to Al-Qaeda's Iraqi faction have increasingly ratcheted up attacks in an attempt to spark widespread sectarian conflict a decade after the US-led invasion. 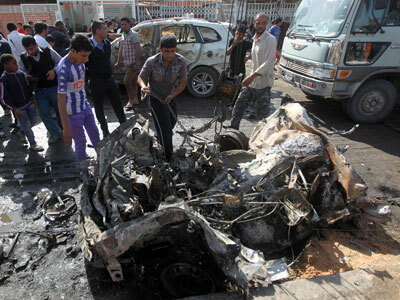 Over a dozen car bombings and roadside blasts swept through Baghdad on March 19, killing at least 56 and wounding nearly 200 in Shiite districts across the capital. 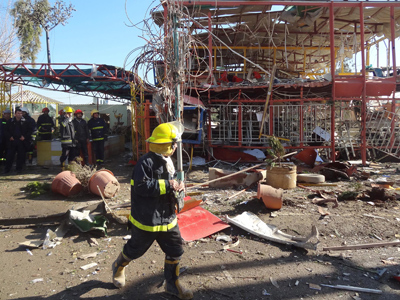 Friday’s bombings bring the number of those killed in violence across Iraq to at least 258 this month. Iraq still feels like a warzone in many respects, RT correspondent Lucy Kafanov commented on her recent trip to the country, where fear guides the everyday reality of life. “From everyone that we spoke to anywhere you go, at any moment, there could be a blast like this. And how do you survive in this situation?"